Enjoy this blog posting via Family Friendly Cincinnati. 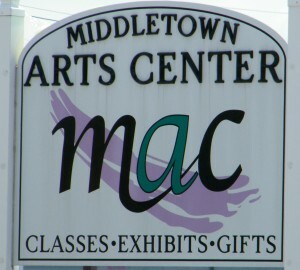 Thanks for attending CACD 2011 and spreading the word about the Middletown Arts Center! Alright, I’ll admit it, until recently I had no idea the city I live in had an arts center. Imagine my surprise when I find out we have not just one, but two great art centers in Middletown! After finding out about the two places I made a plan to take Courtney for a visit. We went to the Middletown Arts Center for the Community Arts Day. What a great day to go and we had a fun time! While there, I ask loads of questions about MAC. I found out that they offer classes for all skill levels and age levels. Audrey was most enthusiastic about this! She loves creating, so classes are the next step in her creative process. We really enjoyed the “Reflections” works by Linda Kay Fisher in the exhibition hall. 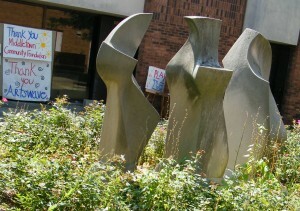 Audrey and I are also looking forward to visiting the MAC on September 23 for their area art show. I’m personally looking forward to seeing all the local artists creations. I mentioned above that there are actually two art centers in Middletown. Pendleton Art Center is new to our community having just opened up earlier this year. I will be honest here and let you know that I haven’t visited yet, but I do plan on attending one of the First Fridays or Second Look Saturdays. If you’re interested in visiting the Pendleton Art Center, check out their website for all the First Friday and Second Look Saturday dates and times!